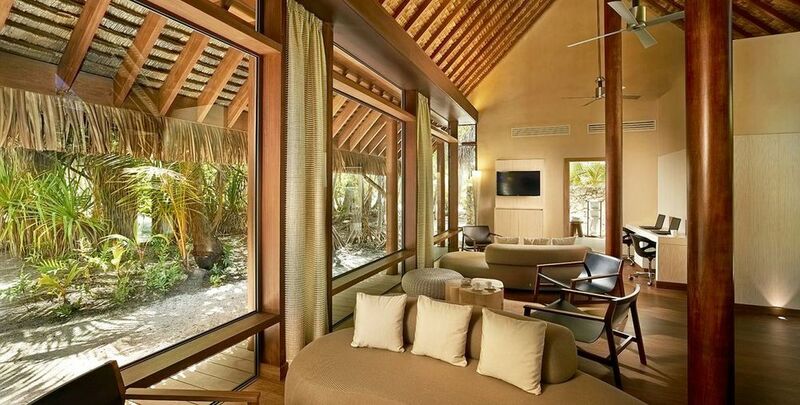 TYPE: Eco-luxury resort on Marlon Brando's private island. ROOMS: Thirty-five beachfront villas sit along the pristine, palm-fringed perimeter of the island. Thirty of the villas are one-bedrooms, the ultimate romantic getaway. There are four two-bedroom villas and one three-bedroom villa, meaning the maximum number of guests on the island at any one time is just 84. Villas are spacious (all over 1000sqft), thoughtfully designed with reclaimed woods and neutral earth tones that fit seamlessly within their natural surroundings, and the tropical contemporary interiors are sleek and understated. Luxurious amenities abound, including a complementary mini-bar fully stocked with beverages of your choosing, chemical free sunscreen and daily homemade sweets at turndown. Villas are fully loaded with all the mod cons including media room, Bluetooth stereo system and retractable flat screen televisions. Sliding glass doors take full advantage of the breathtaking ocean views, and lead out to your oversized private plunge pool. Each villa comes with two bicycles, the ideal way to tool around the island on the wide, groomed paths. 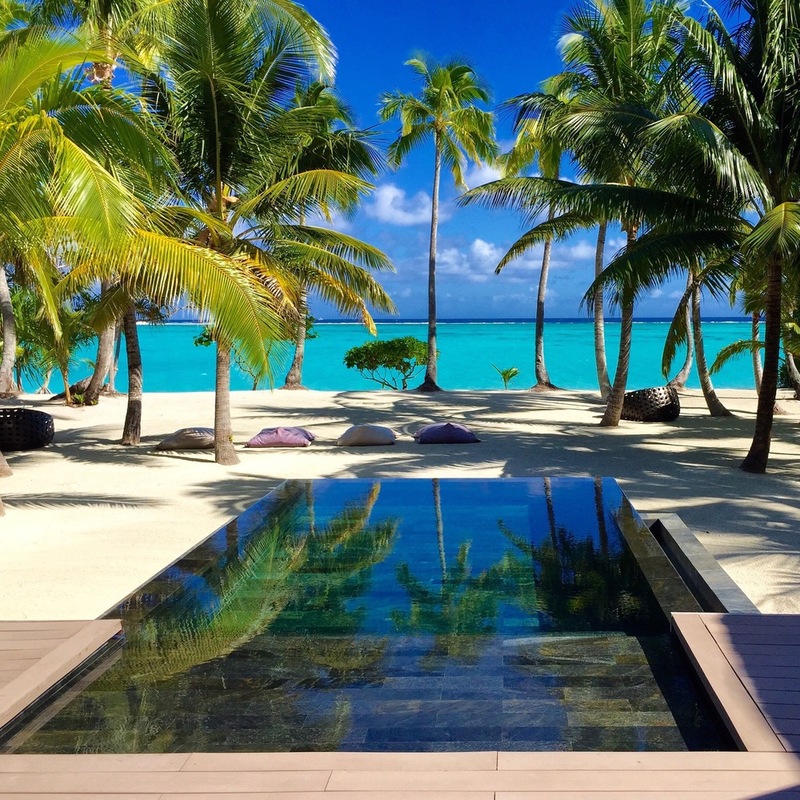 POOL/GYM: The Brando also has a state of the art gym, yoga classes and tennis courts. 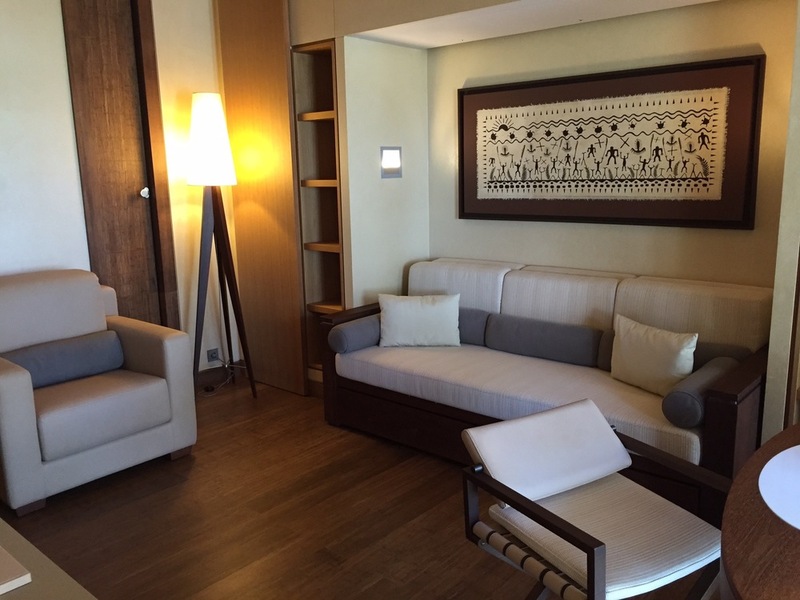 SPA: One of the many aspects of pampering at The Brando is your daily spa treatment. One 50-minute massage per villa per day is included in your stay. 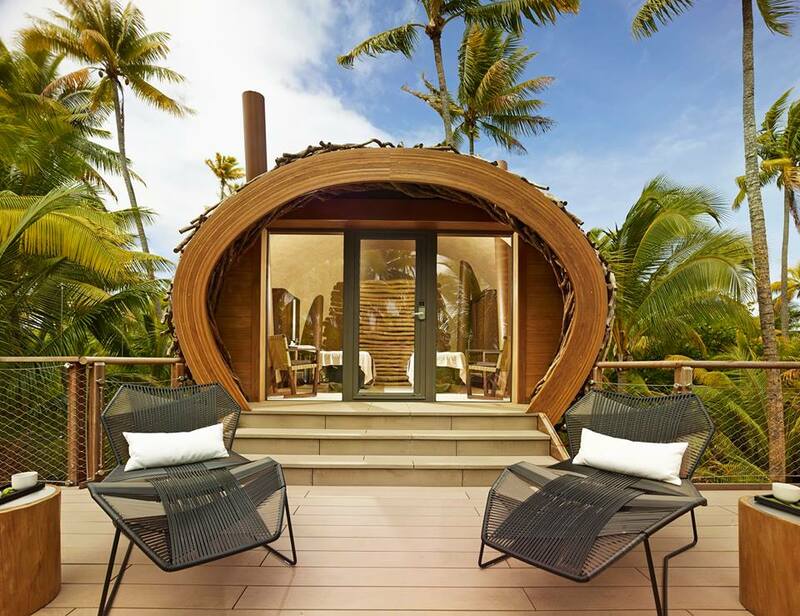 Varua Polynesian Spa is nestled amidst the swaying coconut palms on a tranquil lagoon. The spa offers holistic treatments inspired by the ancestral Polynesian technique of “Taurumi,” a deep massage that touches the soul through the body to rediscover harmony, relaxation, and inner peace. Treatments utilize sensual monoi oils sourced from local plants and flowers with healing properties. The spa includes steam baths, a tea lounge and relaxation room, and a dreamy “treehouse” spa suite for couples. 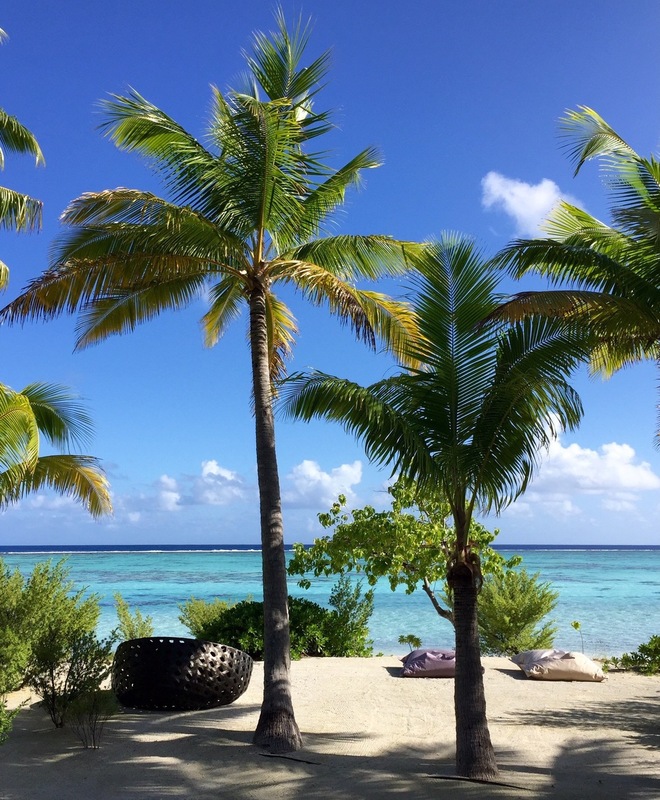 RESTAURANT: The quality and variety of the food at The Brando is remarkable given its proximity to ... nothing! At the helm is Guy Martin, of Paris's two Michelin-starred restaurant Le Grand Véfour. Fish is locally-sourced and is grilled, fried, baked and sashimi’d to perfection. The organic garden and orchard provide fresh fruits and vegetables each day and lip-smacking Tetiaroa honey, which is infused in many of the desserts and cocktails. The casual Beachcomber Cafe has a Polynesian-fusion leaning menu, with loads of healthy options – ceviches, crudos, grills and salads – and a nice mix of indulgences like thin crust pizzas and killer burgers. Breakfasts are all made to order with scrumptious dishes like smoked trout eggs benny, coconut pancakes, to-die-for homemade pastries and dozens of freshly blended smoothies. The elegant Les Mutinés is the fine dining restaurant with a French-inspired menu and a world-class wine cellar. The Brando is fully inclusive of all food and alcohol, with a surcharge only for premium wines and spirits. VIBE: Barefoot chic: the feeling of being lost and never wanting to be found! Bar: Steps from the beach is the thatched roof Bob’s Bar, named in memory of Marlon Brando’s film set assistant. At the end of a day of shooting, Brando and Bob would wind up at the bar for long talks. This is the ultimate hangout for mingling with your fellow castaways, alongside master tropical mixology with an arm’s length cocktail list. Grab a signature Dirty Old Bob and watch the sun cast it’s magical glow on the sand as it slowly sinks into the horizon. 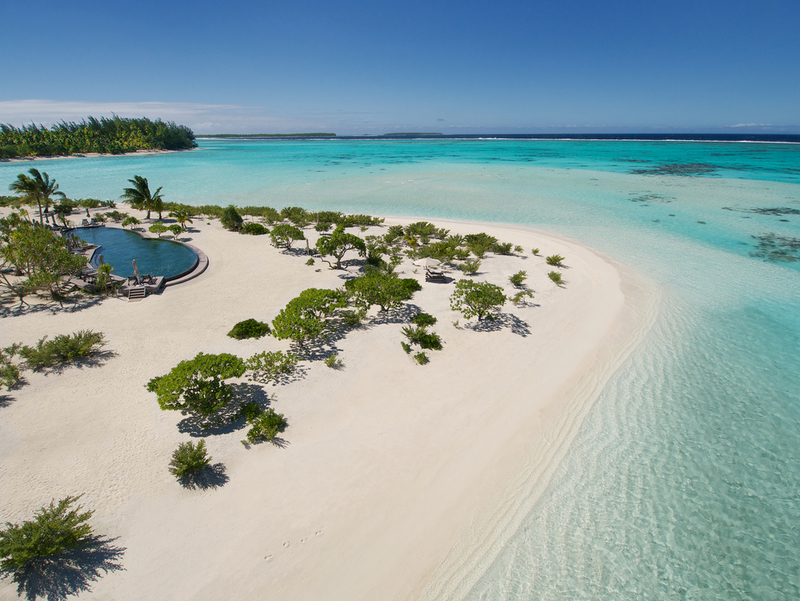 ACTIVITIES: The Brando offers a wide variety of non-motorized water sports with expert marine biologists. The crystal-clear waters and living reef around The Brando are ideal for snorkeling, scuba diving, kayaking, paddle boarding, fly fishing and birdwatching. There are a dozen surrounding motus (small islands) which are untouched and can be explored by boat. Depending on the time of year you might be treated to the awe-inspiring sight of whales breaching and turtles hatching. Stargazing is a must, with the southern sky is blanketed in an explosion of constellations. There are a number of cultural activities to choose from including traditional Polynesian arts and crafts, dance, and evening storytelling. Marlon Brando was passionate about the preservation of these islands. For those seeking to understand the ethos of the Brando, take a fascinating tour of the island’s sustainability projects with the Tetiaroa Society, a scientific and cultural organization that was founded by the Brando estate. KIDS: The Brando is best suited to couples or families with older children. WIFI: Complimentary WiFi throughout the whole island. Amazingly speedy. LOCATION: The private atoll of Tetiaroa is 30 miles north of Tahiti. 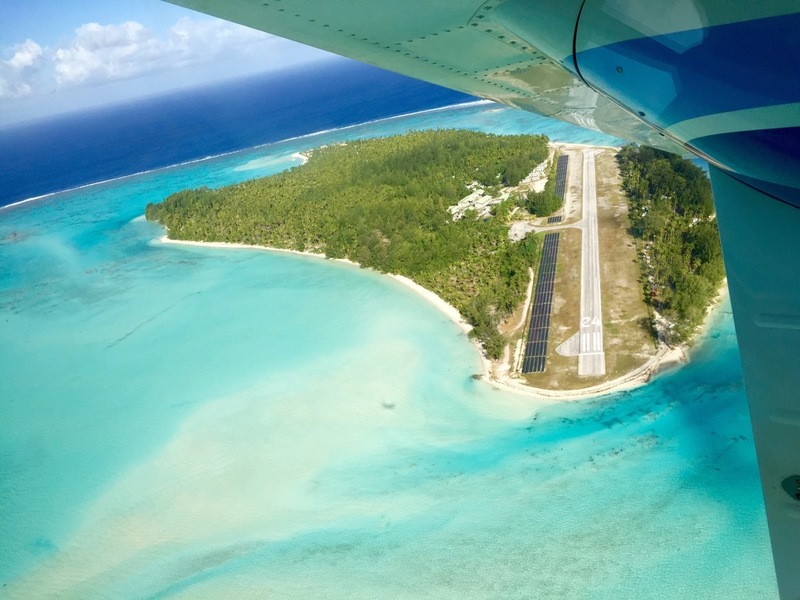 Reachable by a 20 minute charter flight from a private terminal at Tahiti’s Faa’a International Airport, landing on the resort’s private airstrip on one of two 8-passenger turboprop twin-engine planes. Tetiaroa is comprised of a dozen pristine motus and surrounded by a spectacular lagoon of every shade of blue imaginable. The Brando is located on Onetahi, the favored motu of Tahitian royalty, who chose it as their summer retreat, and later for Marlon Brando who was passionate about preserving the island’s cultural richness, natural beauty, and incredible biodiversity. The Brando is magical in every way! The island brings alive the mystique surrounding one of the most legendary actors of our time, and draws you into his secret and enchanting world. Brando is a place where you’re every whim is anticipated and indulged and time simply stands still.